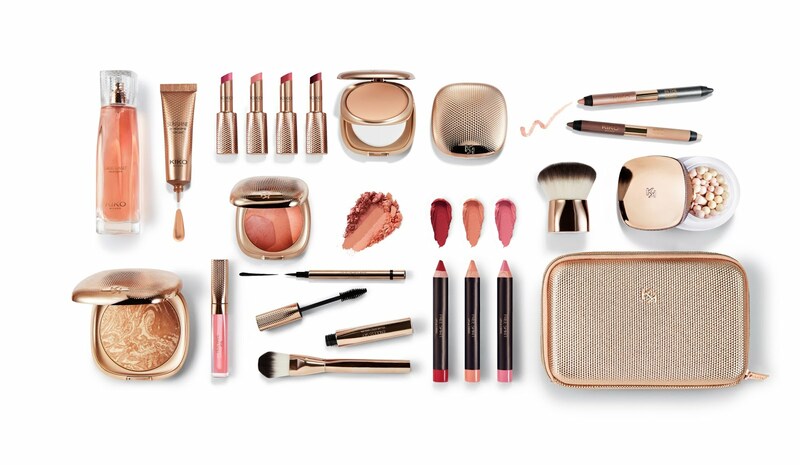 KIKO's new limited edition Trend Summer Collection for Summer 2016 comes encased in striking textured rose gold, the creation of futuristic designer, Ross Lovegrove. Reassuringly weighty with magnetic clasps, built-in mirrors and great attention to detail, this collection could easily pass for high end luxury makeup. Prices start at just £8.90. The blush and bronzer compacts are particularly pretty, but my top pick is the Mirage Lip Stylo. Of all the lipsticks I own, KIKO are among my most used - I'm such a fan of both the creamy and matte formulas. The only downside to falling for them is that they're often limited edition and sell out quickly. I have three of the new shades and they don't disappoint. Creamy, well pigmented and very comfortable on the lips, these are designed to offer 3 benefits in 1 product: the colour payoff of lipstick, shine of gloss and comfort of a balm. The ergonomically designed rose gold packaging has that oh so satisfying magnetic closure and lasting power on the lips is pretty good. This is a single layer of the KIKO Mirage Lip Stylo lipsticks in 11, 8 & 10 (from top). They look opaque in two swipes. 11 is fuchsia that leans more purple than pink, 8 a deep red and 10 is my favourite - mauve brown with a hint of berry.